Ewan Bottomley joined the University of Edinburgh in 2012. His main research focuses on the way in which people objectify women. Other research interests include prejudice and the dehumanization of others. In 2017, Ewan was appointed lab manager. Casey Bevens has been at the University of Edinburgh since September 2016, and comes from Louisiana. The topic of her PhD thesis is the role of objectification in men's sexual aggression. Casey completed her master's degree in 2016 at the University of Louisiana at Lafayette, and spent her undergraduate career at Berry College, in Rome, Georgia. Qian is a PhD student in the Department of Psychology at the University of Edinburgh. Her primary research interests focus on women's objectification and cultural differences. She is currently working on how women are objectified differently in different nations, including both other-objectification and self-objectification, and developing multiple measures to capture this information. She is also interested in the relationship between women's objectification and social class. 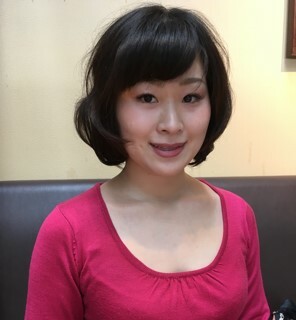 Mayu is a PhD candidate in the Department of Psychology at the University of Edinburgh. Her research focuses on anthropomorphism and romantic relationships. She is interested in understanding the psychological and cognitive mechanisms behind anthropomorphism, particularly in relation to the forming strong attachments with virtual agents and its potential to improve well-being. Benjamin Ramos has been a Clinical Psychology PhD Student at the University of Edinburgh since January 2017. He is primarily interested in basic translational research in Relational Frame Theory. The topic of his PhD thesis is investigating the commonalities shared across different forms of prejudice and dehumanisation through the philosophical lens of Contextual Behavioural Science. He is also interested in Attention-Deficit Hyperactivity Disorder, Organisational Behaviour Management, cultural psychology, and a variety of other topics. Ben completed his MSc in Experimental and Applied Psychology at the University of Louisiana at Lafayette in 2016 and earned his undergraduate degree in 2013 at San José State University in California. Thomas, completed his undergraduate and master’s degrees at the University of Canterbury in New Zealand. He is currently in the second year of his PhD, which is on human-animal relations. He is interested in the ways in which the human subjugation of animals has an impact on humans at the individual, interpersonal, and intergroup level. For his PhD he is looking at how challenging human supremacy can improve attitudes of derogated human outgroups such as the homeless and drug addicts, and international outgroups such as overseas sweat shop workers in third wold countries. He also does research on gender relations. Lyndsey Wallace joined the University of Edinburgh in September 2018 and is originally from the San Francisco Bay Area, California. Her research interests focus on how and why women are objectified and more generally on gender-based inequities. Lyndsey gained both her master's and undergraduate degrees from San Francisco State University. Natalie’s research investigates the relationship between psychopathy and dehumanization. Polina’s research interests involve the dehumanization between leaders and their subordinates, as well as the dehumanization and objectification of female leaders. Mariah is broadly interested in masculinity and stereotypes. She is researching broadening masculinity, specifically the relationship between masculinity and pro-social helping behaviors. Maria's research interests focus on intergroup dehumanization. Specifically, she is interested in how racialized power dynamics influence intergroup dehumanization in post-colonial nations. Lilinaz is broadly interested in dehumanization processes. Specifically, she is researching how low power groups engage in dehumanization. Imogen's dissertation focuses objectification and women. Zainab's main research topic looks and religion, mental illness, and help-seeking. Lucy’s main research topic focuses on meat-eating and gender. Gabi’s research focuses on meat-eating and perceptions of animals. Paula’s dissertation topic is investigating objectification and women. Freya's research focuses on cognition and meat-eating. Anna’s research focuses on social comparison and objectification.